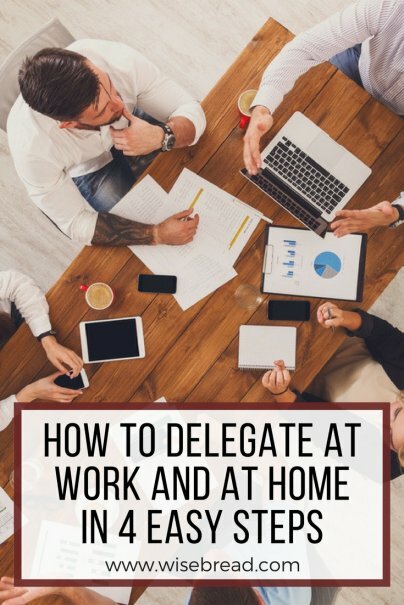 If you want to manage time, resources, and people in a way that frees you up to focus on things that are truly important for your professional success or personal fulfillment, you need to delegate. Why not start delegating right now? Here's how. Never delegate responsibilities just because you don't want to do them. That's not efficient; it's just rude and fosters resentment. Delegate the tasks that free up your time for the things that you alone are uniquely qualified to do, or that directly contribute to your Big Plans. Leverage technology, especially when organizing a lot of people. Staffing the community food pantry, running the school book fair, or heading up the charity race? Keep your eyes on big picture planning and let others choose to contribute the way they want with VolunteerSpot, a free sign-up tool that anyone can access 24/7 from any smart phone or computer. The only thing worse than never delegating is micro-managing. Once you delegate a responsibility, you need to trust that it will get done satisfactorily. Allow freedom for how to arrive at the end result. While you may have an idea about the best way to accomplish a task, the person you're delegating to may have a better idea. Good leaders understand they have a lot to learn from their subordinates. Whenever you delegate, there is going to be a learning curve. You have to accept that things aren't going to go smoothly every time. But more often they will, and when they do, share in the rewards and give credit to those who helped you accomplish your goals. Praise them for a job well done and they will want to do it again. Delegating — it's not so hard when you break it down. And once you get the hang of it, you're going to want to delegate more and more. What are some things you delegate, and what is your best advice for getting started? This is a guest post by Lela Davidson, the author of "Blacklisted From the PTA" and "Who Peed on My Yoga Mat?" and a proud member of Team VolunteerSpot. VolunteerSpot's free volunteer scheduling software lets organizers quickly set up volunteer needs in an online calendar and invite volunteers to sign up from their computer or smartphone. Learn more at their website. "The only thing worse than never delegating is micro-managing." Absolutely! The combination of never delegating and micro-managing screams, "I don't trust anyone to do anything!"